With the base of Cuban Contemporary, Graham Technique, Yoga, Afro, Afro-Cuban the Warm-Up is based on varieties of movement concepts to expand the way you connect to your body. From strengthening to conditioning to the unlocking of rotations, contractions, undulations, isolations. It’s a full body warm-up put together to get the best out of you. Influences of South African, West African, Afro Caribbean, Afro Cuban & African- American movements have crossed the artistic path of Mitchell in his 19 years of experience in dance and movement. An hour of different nuances of Africa, where movement comes from. Trained in the Eddie Torres Technique by the beautiful Melissa Rosado, Mitchell has explored Mambo in it’s purest form. 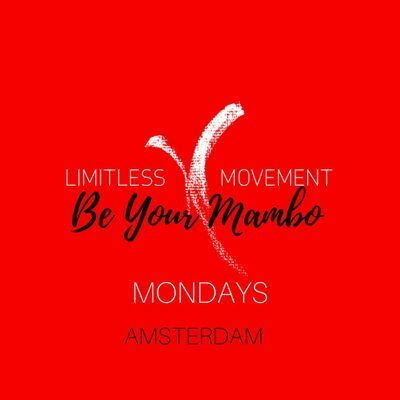 With this knowledge of training and experience, Mitchell has developed a method to unlock Mambo and bring your fullest potential out. These Shine we’ll connect with AFRO, which will transform in something different. How to transform into the elements EARTH, WIND, FIRE during the shines gives it all PURPOSE. Flow is mostly misinterpreted in Partnerwork. In this, we’ll unlock certain tools to create your own flow. Flow is your purpose in connecting with your partner. Focusing on your flow puts you in a better position to fuse all of the hours above into your PARTNERING. No More division, fusion. Let's go IN, let's groove, let's enjoy ourselves and share positive energies with each other with the help of MAMBO!